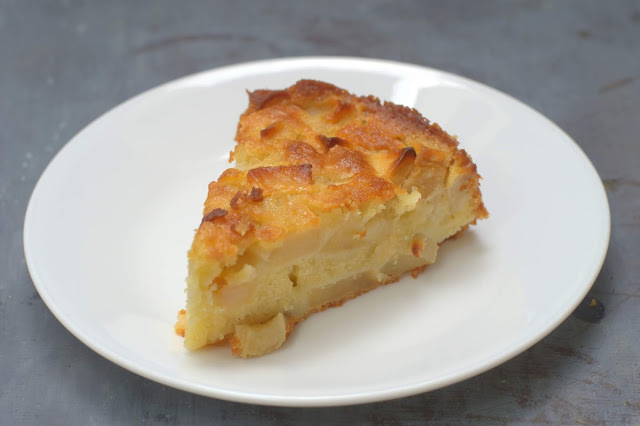 Cakes & More: French Apple Cake. One Heavenly Cake You Must Bake This Fall! French Apple Cake. One Heavenly Cake You Must Bake This Fall! French Apple Cake. Don't be fooled by the fancy name, this cake is unbelievably easy and the results are just divine! 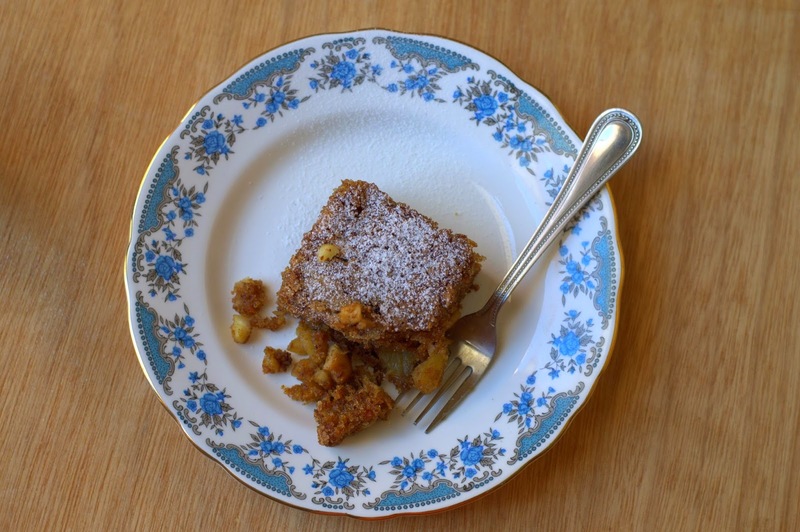 This cake from Dorie Greenspan has a whole lot of apples and just enough flour to hold them all together. Buttery and super moist, this cake is a breeze to make. You don't even need to go scouting around for the 'right' kind of apples, you can actually use whatever you have or can find easily. You can use rum for a more authentic flavor, but vanilla is amazing too. Just the kind of cake you would want to bake for company. Wonderful served as it when warm, incredibly good served with whipped cream or vanilla ice cream. This recipe is from Dorie's book Around the French Table. For most people, baking is about measures and method, but for her talented French friend Helene ( and the majority of the French population I gather), it is just throwing things together, adding a bit of this and that as you go. Dorie loved this cake, but her friend just could not give her the exact recipe! She experimented to recreate that cake and now Thanks to Dorie's perfect recipe, you and I can have a slice of this delightful French cake right at home. You will see how incredibly simple this is! In a medium bowl, whisk the eggs until they are foamy, we are not trying to work up a volume. Add the sugar, whisk till it dissolves. Whisk in the rum (or milk) and vanilla. Gently whisk in half the flour, then half the melted butter. Mix in the rest of the flour and then the remaining butter. Be sure you mix well after each addition. You will have a smooth and thick batter. Using a spatula, gently fold in the cubed apples, the batter needs to coat the pieces. It will look like a lot of apples coated with very little batter, that is how it is meant to be! Place the tin on a cooling rack, let cool for 5-10 minutes. Run a blunt knife around the cake, making sure no apples are stuck to the pan. Remove the clasp of the tin. Let the cake cool completely. Cut into wedges and serve. It is fabulous warm on its own. You could also serve with creme fraiche or vanilla /cinnamon ice cream. Cinnamon ice cream will be heavenly I can imagine! Chilled creme anglaise is another of my favorites with this cake. Store: The cake can be stored for 2 days at room temperature. 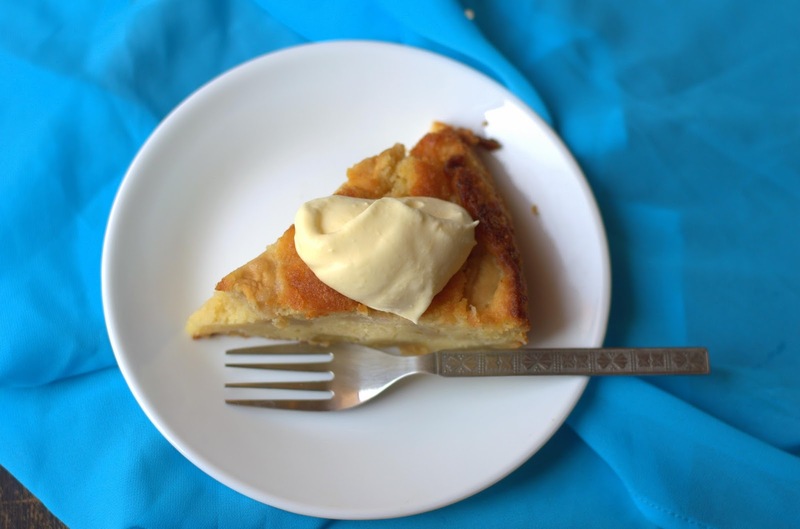 It tastes more like apple clafoutis the next day, which is wonderful too! Variation: I made mini cakes replacing the flour with 1 part flour and 2 parts millet flour and it turned out good! Am sure you have some apples in your fruit basket, do not wait, try this today! Like me, you will make this again and again! Looking for more? How about this 100% Whole Wheat Moist Carrot & Pineapple Cake? Makes an amazing snack box treat!